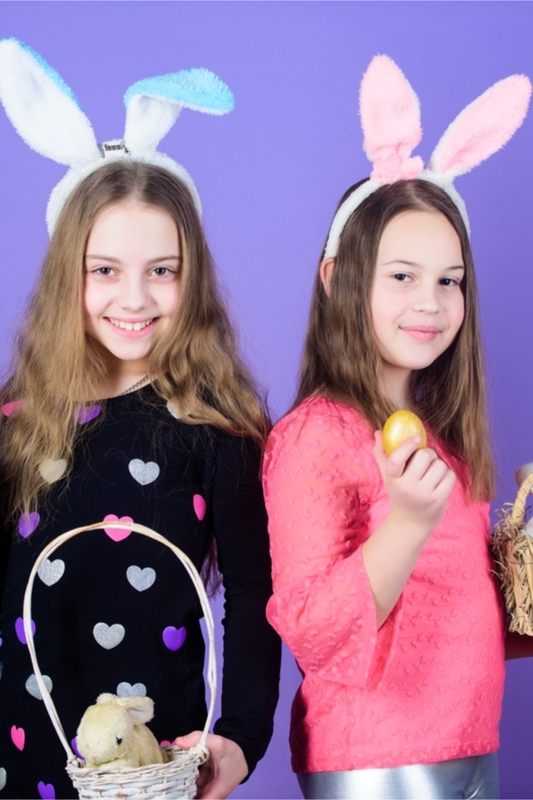 For this year’s Easter activities, there’s no reason to feel like you have to put on an Easter egg hunt. Not everyone loves an Easter egg hunt, and honestly it seems as though there are way too many. 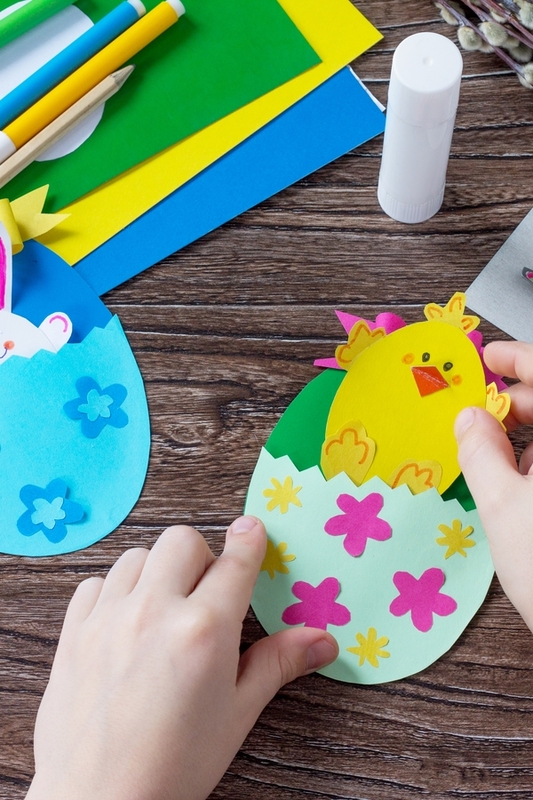 Let’s talk about some fun Easter activities for the kids that don’t include an egg hunt. There are quite a few eggs-tra fun ideas to try! One of the best things about Easter is that it’s springtime, and the weather is usually perfect. You’ll have to check the forecast for rain, but if skies are clear you could have a chalk art festival in your yard, or even on your own block. If you live in a neighborhood with lots of kids, this is pretty easy to sponsor. 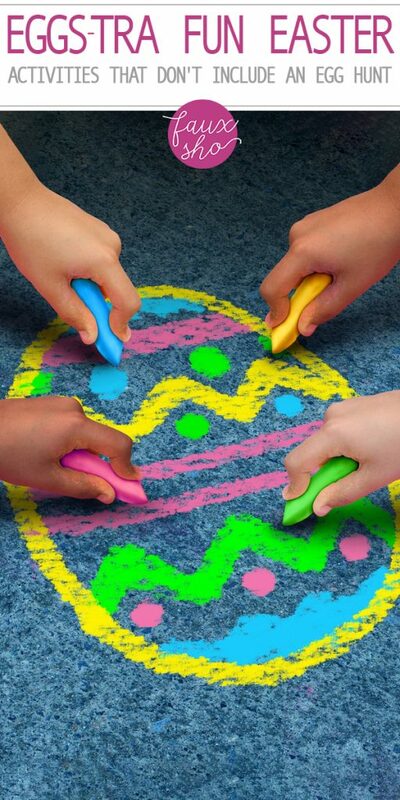 You’ll find both regular sidewalk chalk and eggs-tra fun egg-shaped chalk at your local Dollar Tree. Think how festive your street will look once everyone is finished with their masterpiece! 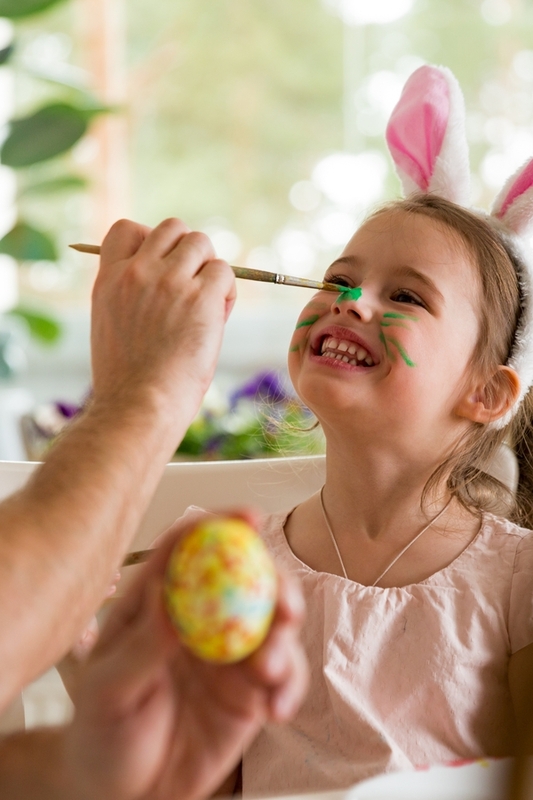 While you decorate and paint eggs, why not paint the kids’ faces too? It takes an already anticipated and traditional activity and adds an extra element of fun. And the kids always love a little face painting! Another fun Easter activity is to have a photo booth. Grab a bunch of fun props from Dollar Tree and have someone assigned to take the photos. Older kids with their own phones have the option to take Easter selfies. 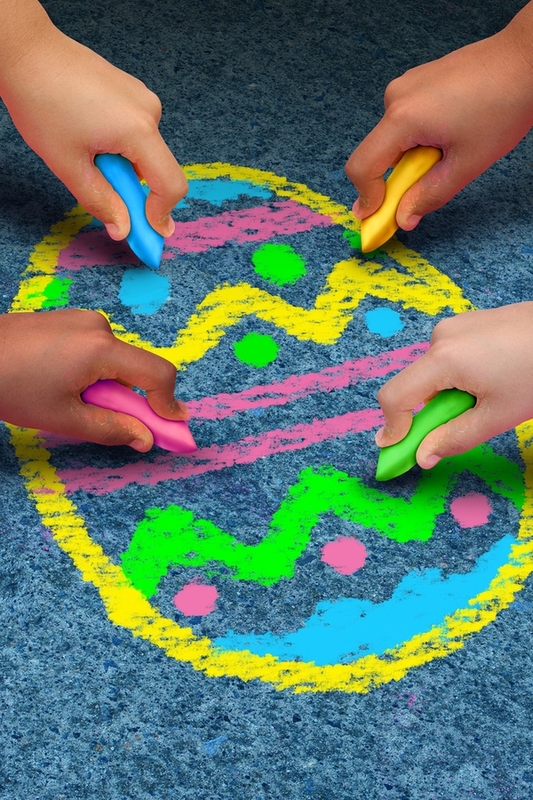 This is a fun idea for lots of applications–class parties, Sunday School activities, or a way to entertain the kids if Easter Sunday happens to be rainy. Just stock up on craft and construction paper, double-sided tape, white glue, scissors, markers and stickers. Set it all out on a table and let the kids go to town! 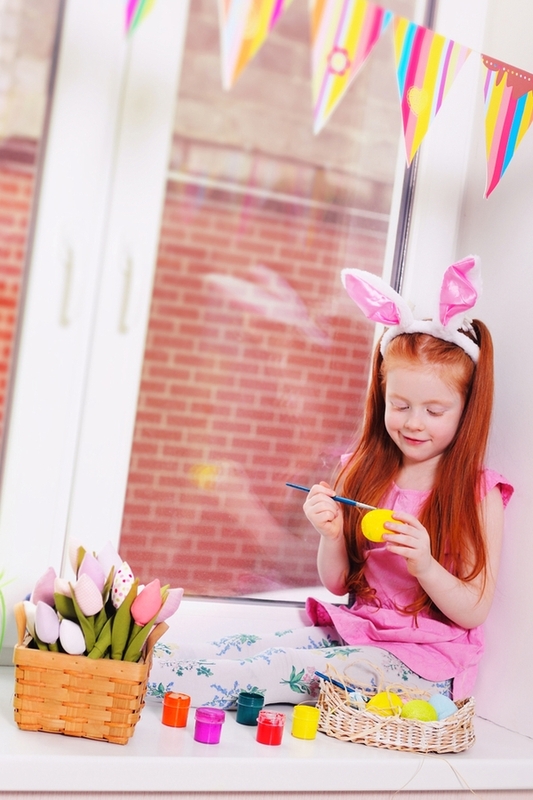 Each of these eggs-tra fun Easter activities can be done on their own or together, and if you are already having an egg hunt one or two of these additional activities will help to round out the day. Happy Easter!